This isn’t what I thought it would be. I had just finished EAT MOVE SLEEP and was inspired to learn more about sleeping and the benefits of sleep (EAT MOVE SLEEP was incredibly motivational). 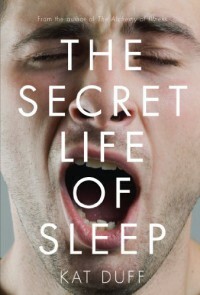 When I read the description of THE SECRET LIFE OF SLEEP, I was intrigued and asked Atria Books to consider me for a review copy (thank you to Atria Books for granting this request and providing a copy to read). As I dug in, I felt off-track from what I was expecting. Kat Duff goes into great detail talking about sleep, both scientifically and historically. I appreciated how she divided the chapters into the various stages of sleep and talked about each stage separately. This was a very organized approach. The chapters show how people viewed each stage of sleep from various cultures and then talks about what happens with your body during those stages. If I was expecting this approach, perhaps I would have been more interested. If you are looking into well-researched methods of taking care of your body in a holistic (and wholistic) manner, then I would recommend EAT MOVE SLEEP. If you are looking to learn sleep from various viewpoints, then check out THE SECRET LIFE OF SLEEP. At the end of the day, I wasn’t as moved or inspired by this book as the previously mentioned book. And for that, I am giving it three stars for being an “okay” read.